TimeZone : Tudor » New year, new watch. I didn't set out to get this one. Well, not right away. There were two or three others that I was seriously considering. Another chronograph, a diver, a different brand. 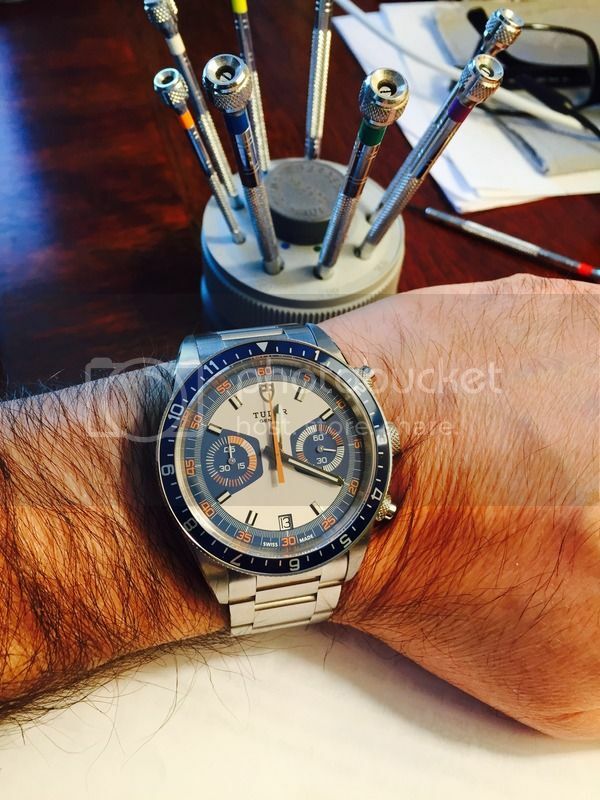 But I decided this time it'll be a Tudor Chronograph in blue. It drew my attention a couple of years ago when it was just released but I got sidetracked by another piece. But I was just so in the mood for a retro/modern combo! Next Topic: Tiger watch of the day!